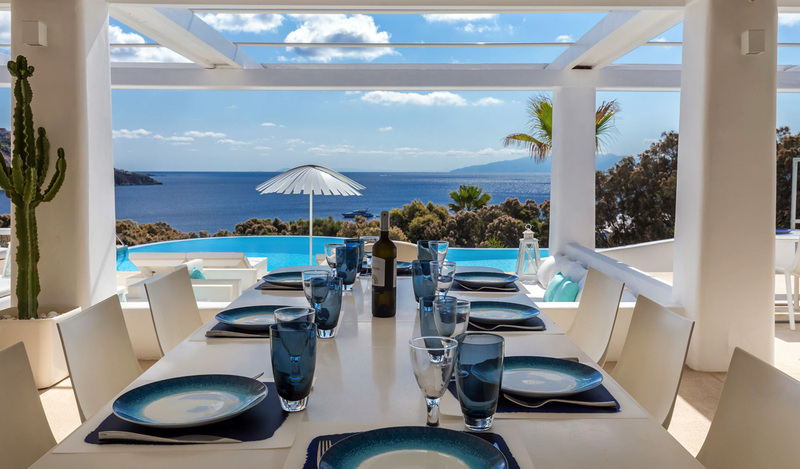 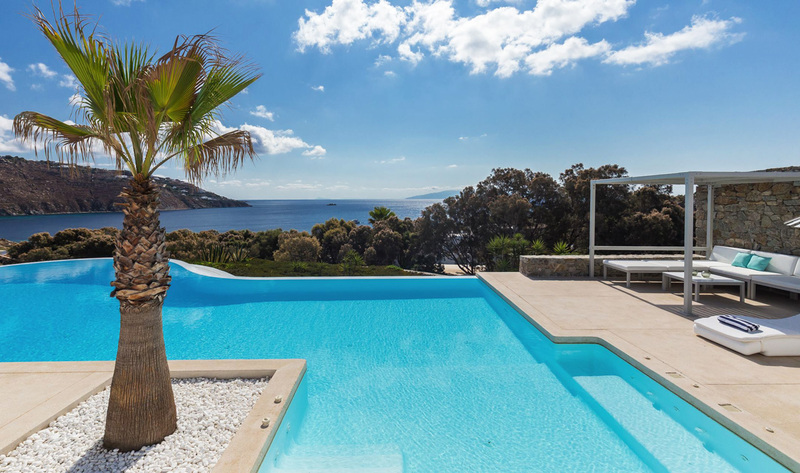 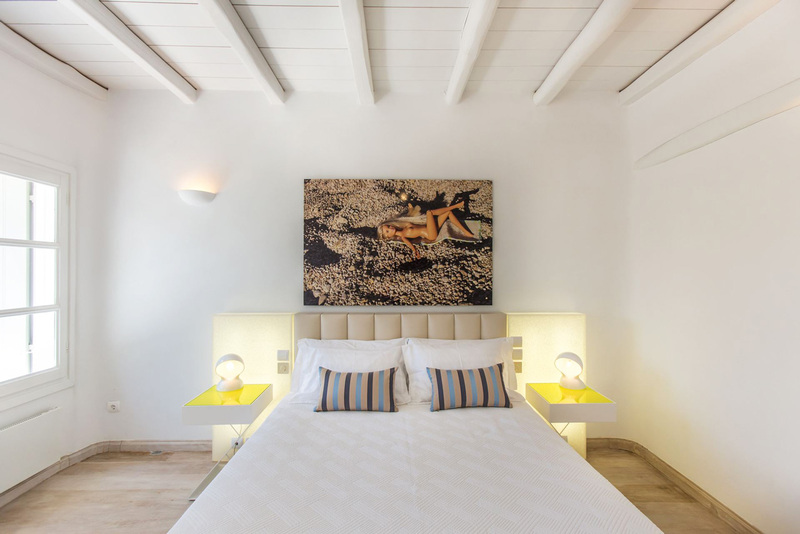 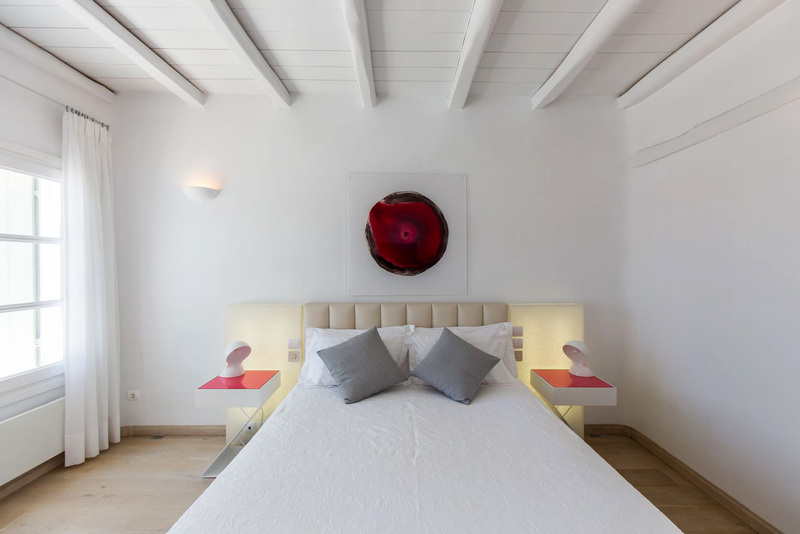 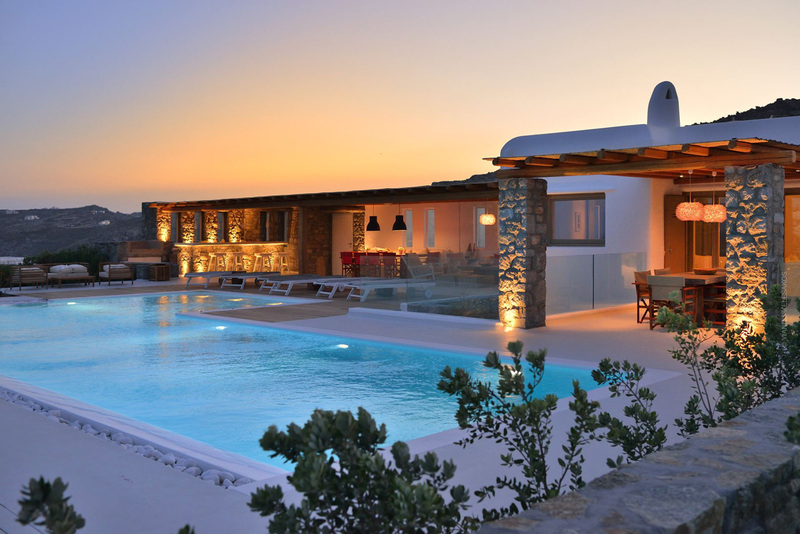 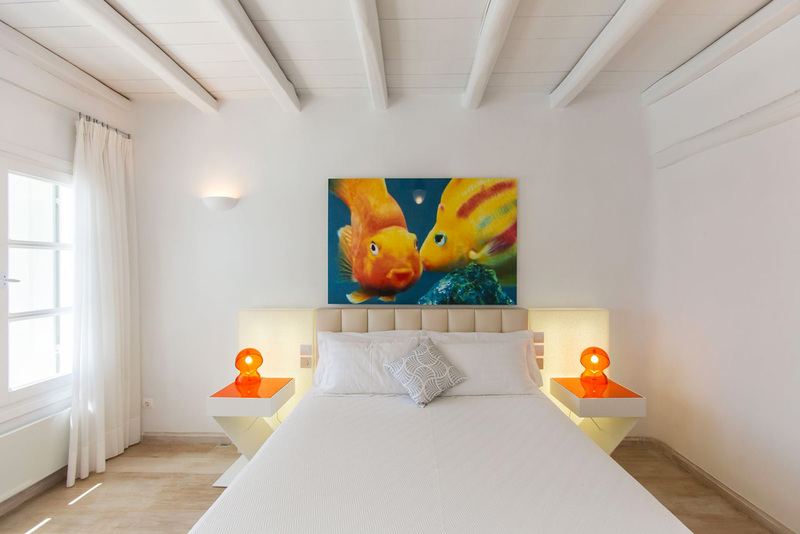 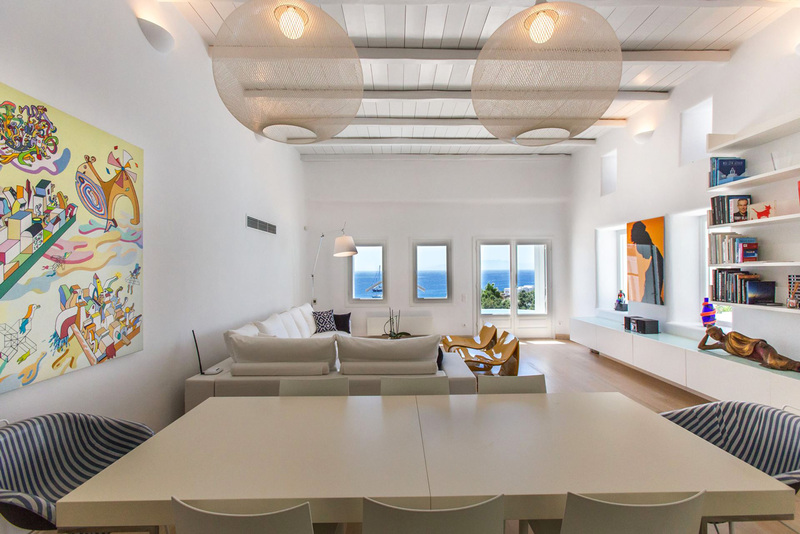 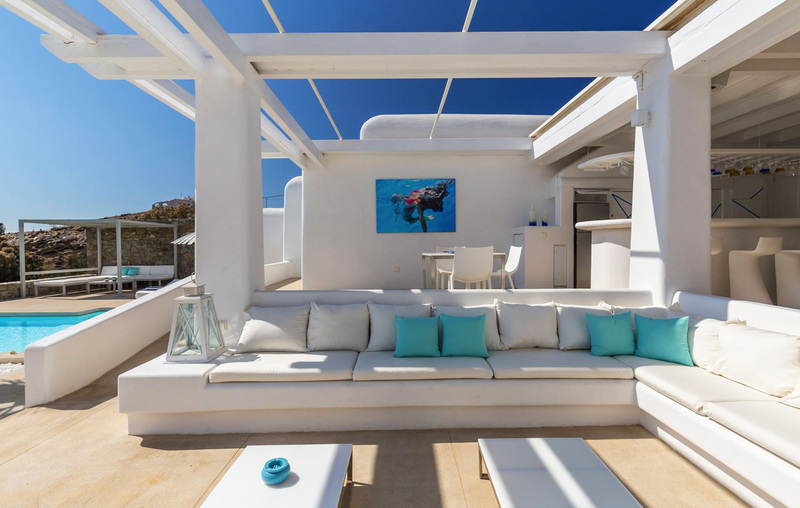 Mykonos contemporary villa for rent near Ornos Beach, welcoming up to 10 Guests, with it's 5 bedrooms, 5 bathrooms, infinity pool, palm tree, terrace, art, new decor and divine sea views for your summer holidays in the Greek Islands with Casol! 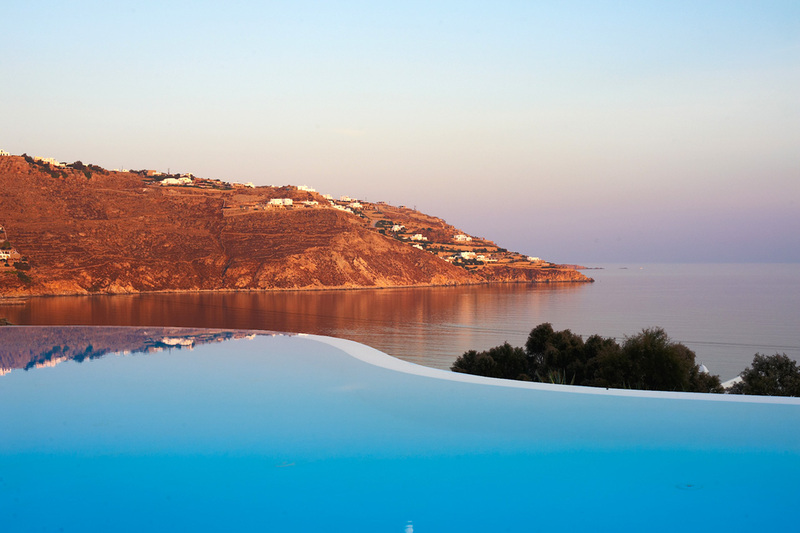 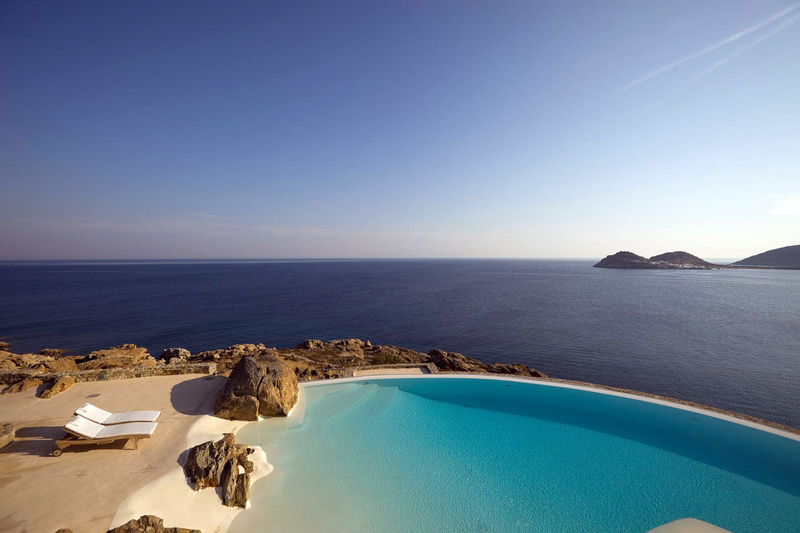 Time for a stylish escape in Greece? 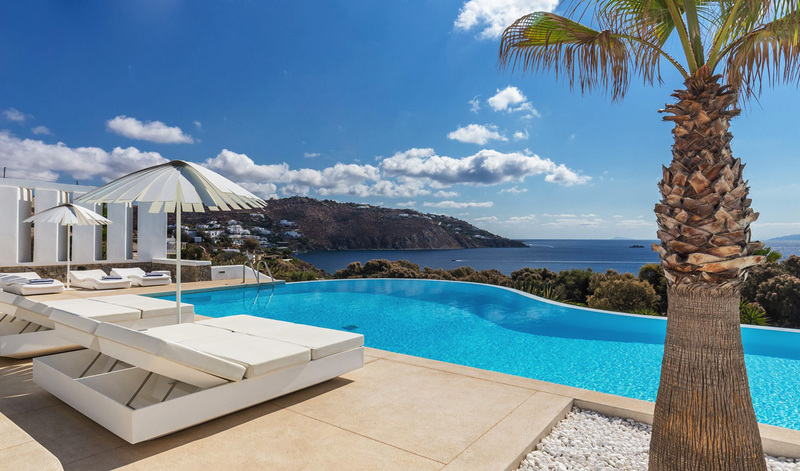 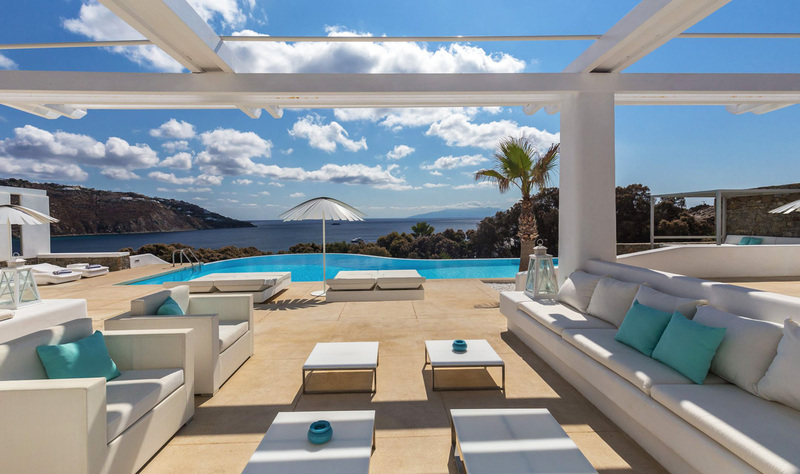 Villa Palmera was built just for you above the entrance of Ornos bay on the southern side of Mykonos, a prime location on the island, as it is well sheltered from the wind and close to the lively Ornos beach and Mykonos Town. 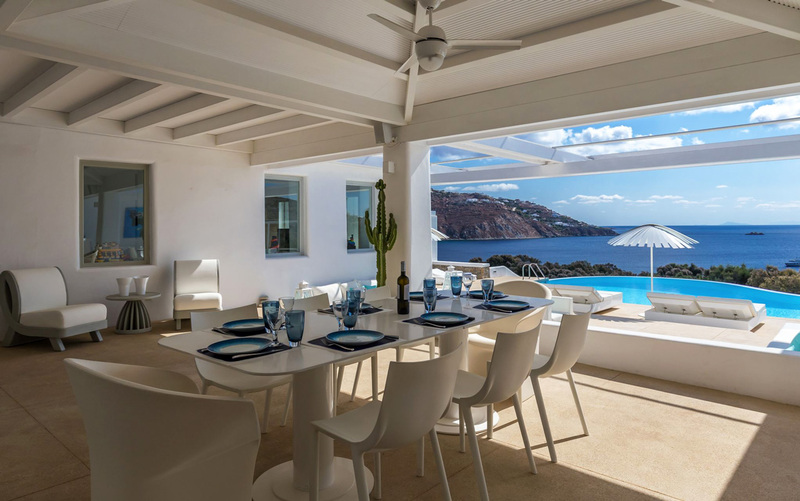 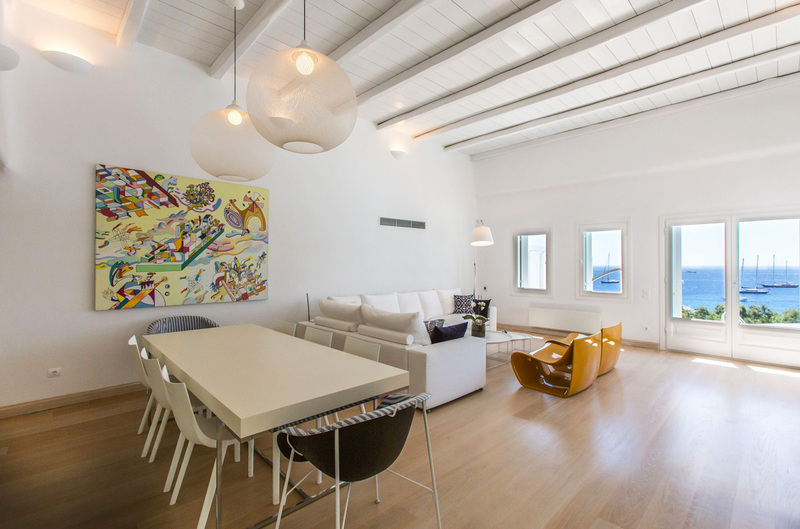 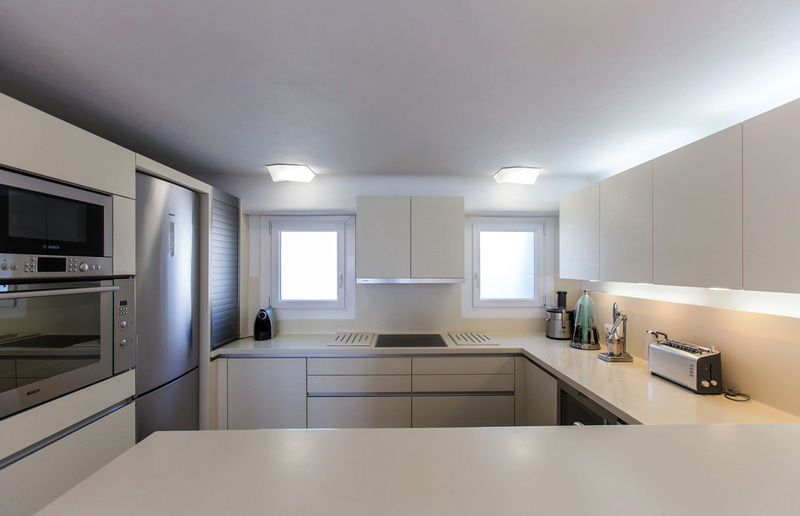 Relax in your villa, surrounded by a garden, and outdoor area set between the two main units with a terrace stretching out in the most panoramic position of the premises! 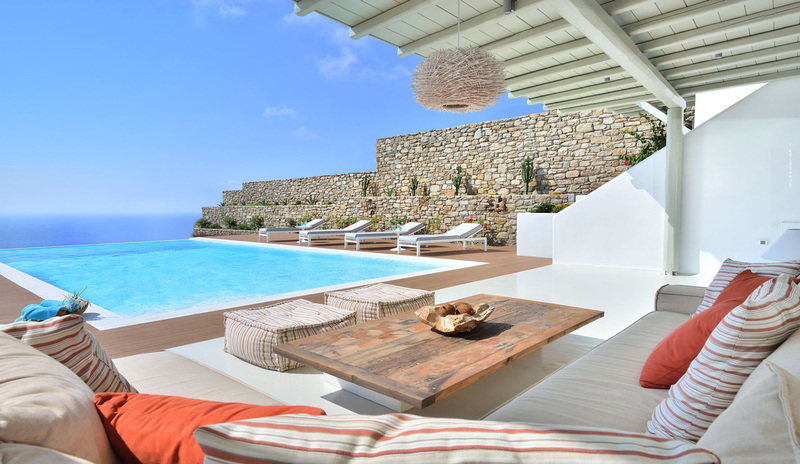 Morning swim? 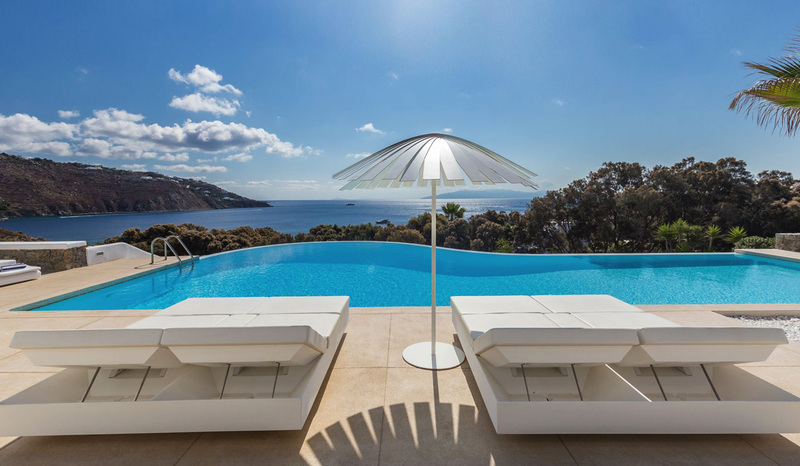 Your infinity pool overlooking the Aegean sea is enriched by design sun-beds and unique parasols, as well as a charming sitting area shaded by an electric awning, allowing you and your guests to select shade to your personal preferences. 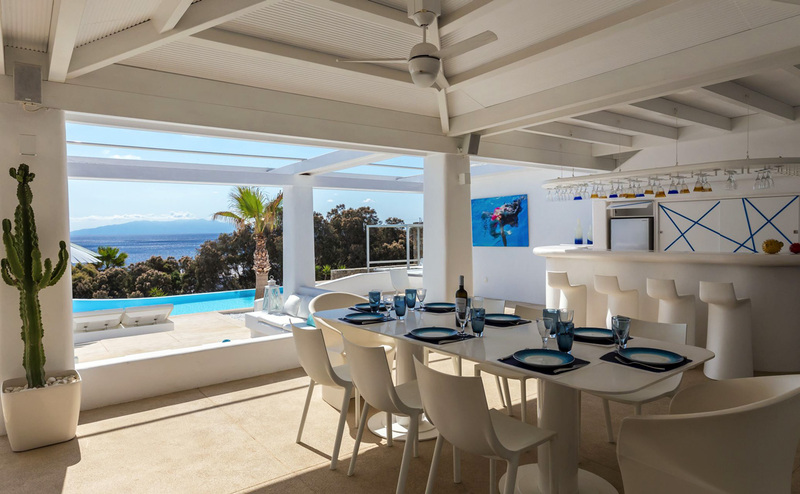 Greek salad, ouzo and house music for lunch?! 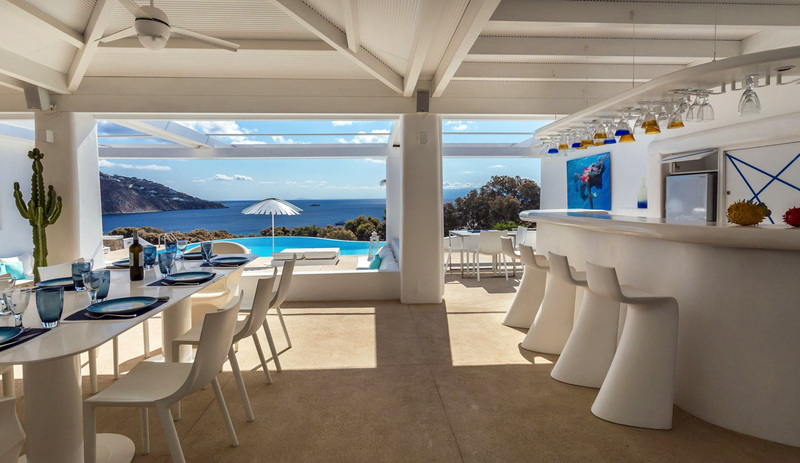 Your Caribbean-style veranda covers the outdoor dining tables and the fully equipped bar area which includes an outdoor sound system, being the perfect spot for your aperitif, followed by a magical dinner overlooking the sea! 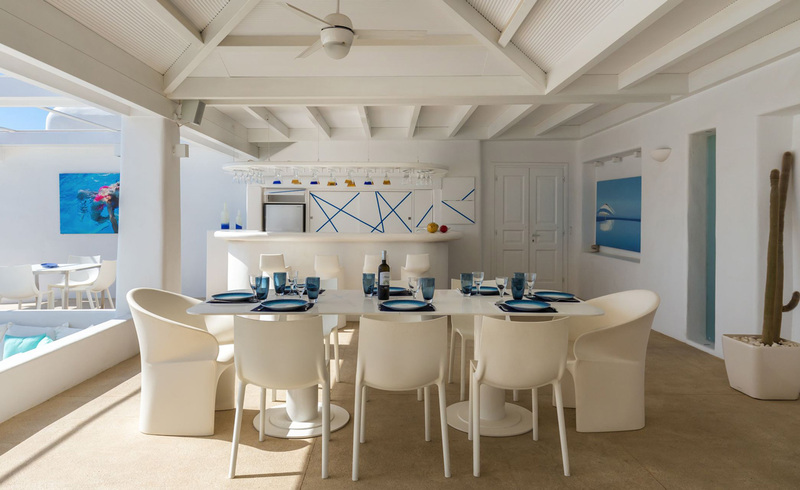 Enjoy the cool shade after the beach, in your indoor spaces, all appointed with a cutting-edge minimal décor featuring imported design furniture and objects. 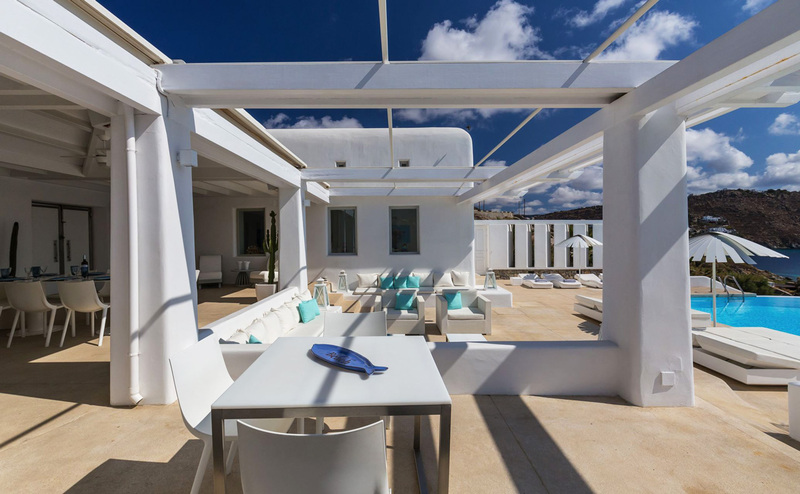 Bougatsa for breakfast with lounge music in the morning? 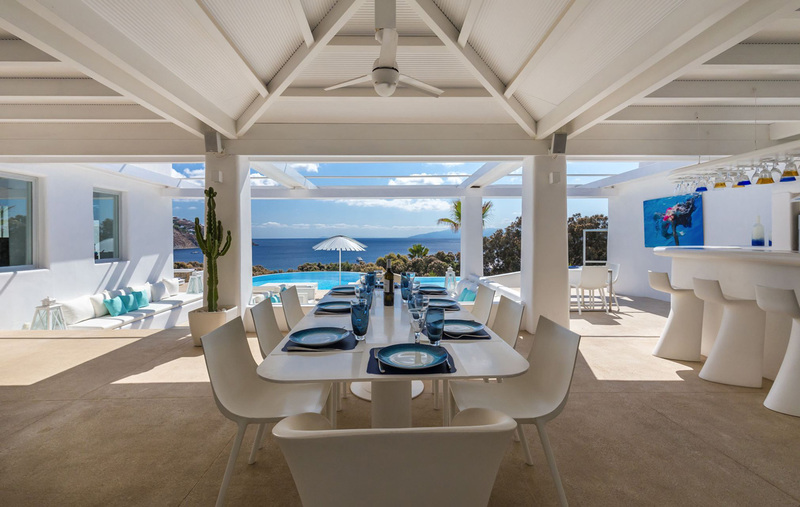 The main house includes your living room and a modern fully equipped kitchen, all with French doors opening onto the front terrace for your sea spectacle. 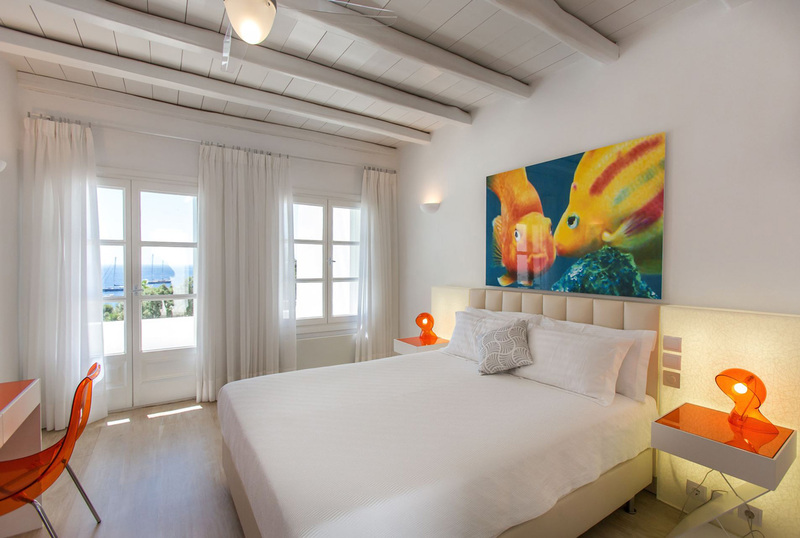 Entrance Level - Master Bedroom with double bed, A/C, two en-suite bathrooms with shower, living room, direct access to pool terrace via French doors, sea views. 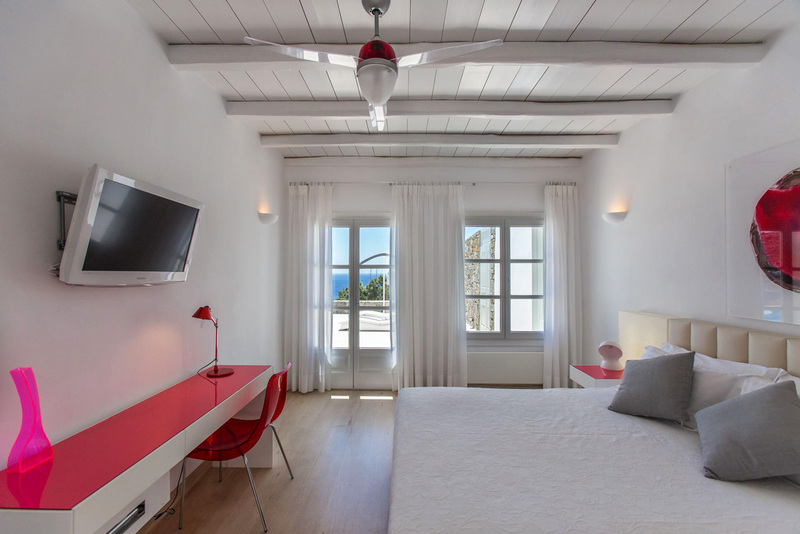 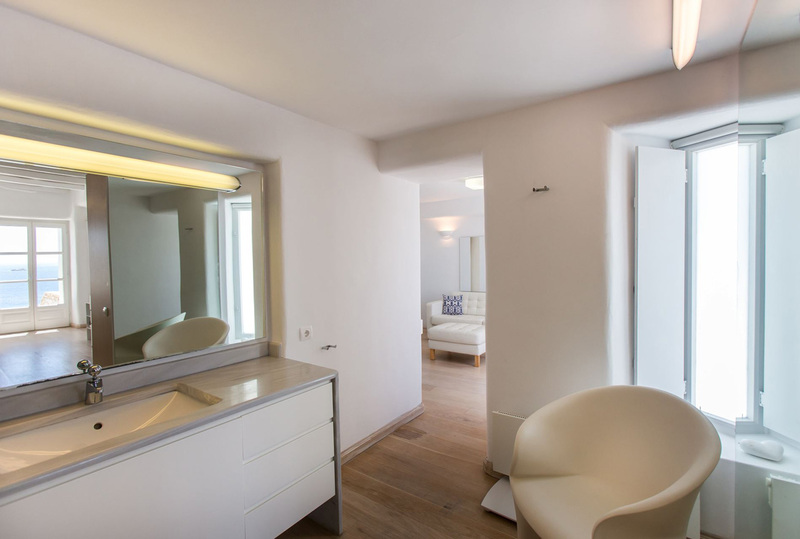 Entrance Level - Double bed, A/C, en-suite bathroom with shower, independent access from outside, sea views. 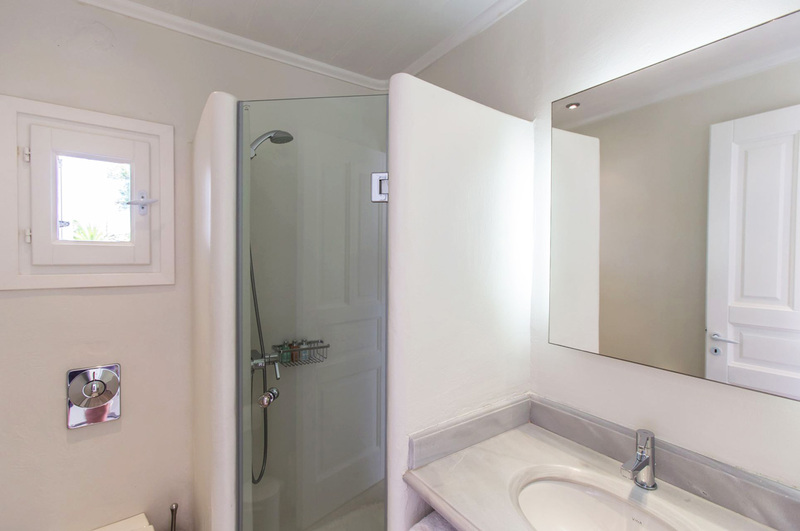 Upper Level - Double bed, A/C, en-suite bathroom with shower, independent access from outside, restricted views. 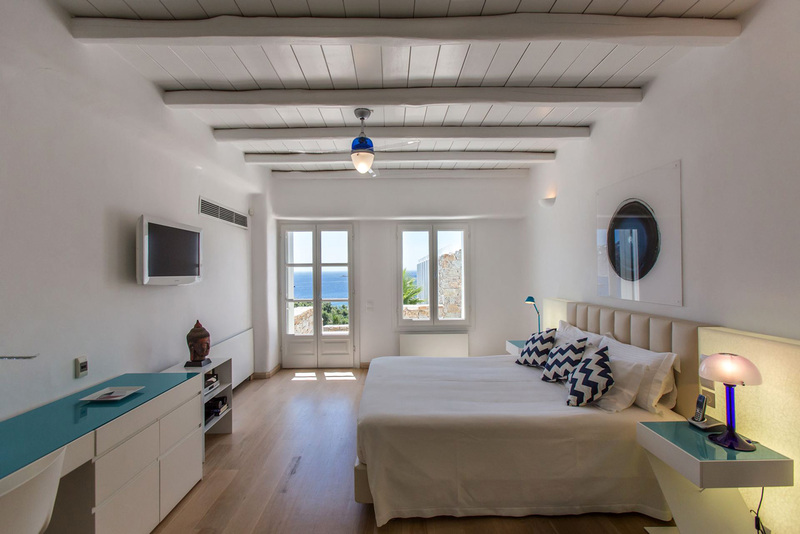 Stay at your Villa Palmera, near Ornos beach!